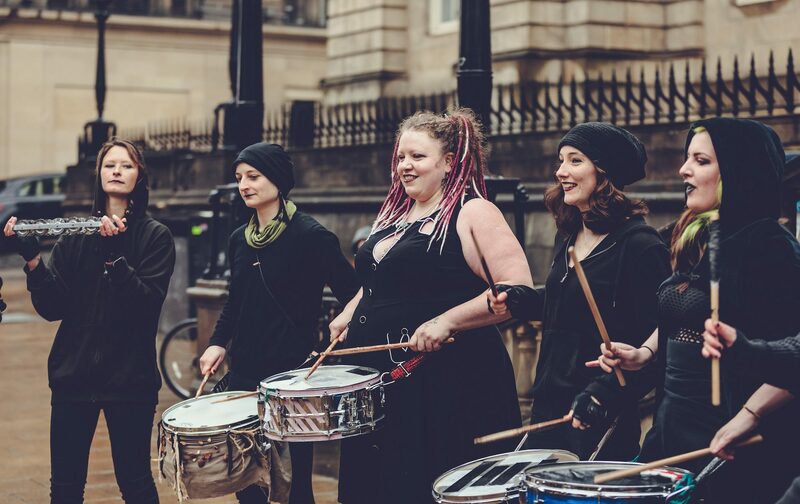 Laura Jeacock shares her experiences as a Group Organiser for Beltane Fire Festival. In 2011, I co-organised Bower with Zander Bruce. I cannot remember exactly the chain of conversation that lead to us sitting around my flat eating cake and frantically filling in the application (there was a lot of cake consumed in the process, as cake is the culinary manifestation of Love), but I know that the idea had been brewing since Air point in 2010. I loved the idea that evolved, as Bower as the ending to the journey of Beltane and as a place of Love and Nurturing. We hoped that others would have liked to join us in working with this idea, and so we put in the application and turned up with a lot of cake to recruit at the Open Meeting. 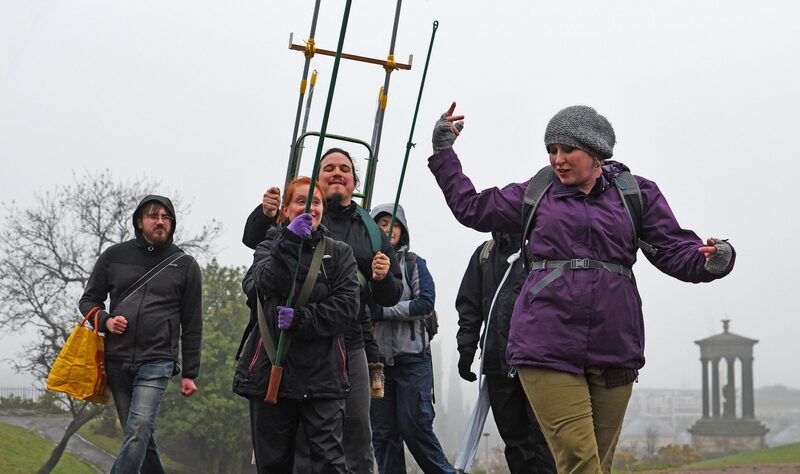 Running a group was nothing really like I had expected, apart from the challenging bit – I thought it would be that. I am so glad that my co-GO was experienced and practical – I learned so much from him. It had its high and low points. I think one of the hardest things for us was to get the numbers that we needed – we were using every trick in the book to recruit people for the main Bower tasks, for helping pack up food bags, for musical input and to help hold the space. I think it was so hard to get numbers because Bower is not generally a performance group, but we had our own ritual and performance that required the numbers. Another of the challenges that was faced was that of waning enthusiasm. Every group that I have been in has experienced this and it usually happens two or three weeks before the night, when everybody is stressed and has no time or energy. The best thing is to give people a night off and regroup later. With much cake. 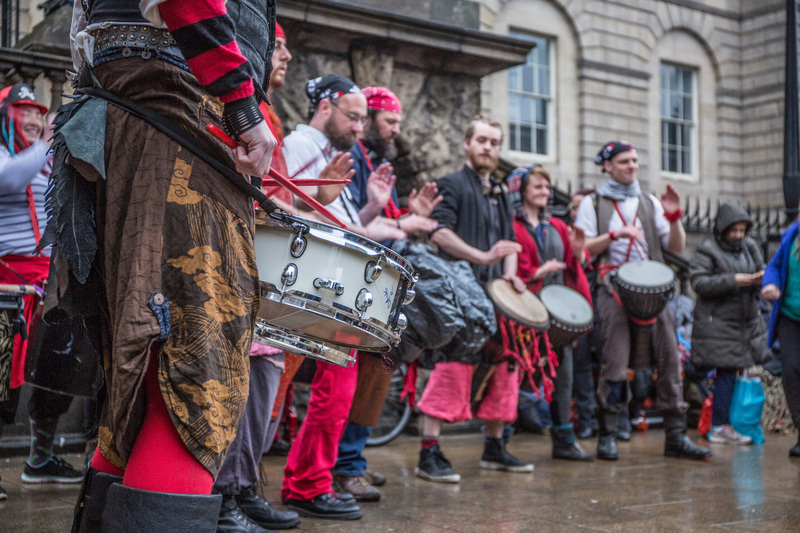 People are volunteers for Beltane and they cannot give their everything all of the time. Checking in and out with people at every meeting keeps the lines of communication open, so that you know if someone needed extra support one particular day. 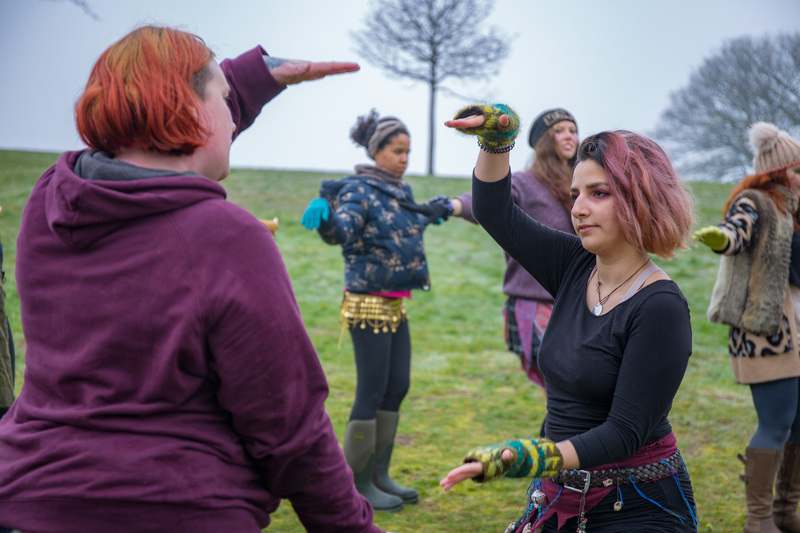 It is true for GOs too – I had an upsetting encounter with someone on the day of Beltane and I am so thankful that I had a network of people to support me for the time I needed. Running a group made me realise how important community, and the connections we make with people, are. When our ideas were difficult to realise, someone from the group was able to pull in resources, whether it was extra hands for the night or music or moral support throughout. So when it came to the day and night of Beltane, we had all created a space that felt like home. I am still very close with most of the the people who were in Bower that year (the Ninja Priestesses of Love!). The best bit about running this group was putting forward an idea and watching it and helping it get realised by the whole group. What I really like about Bower 2011 was that we really made an effort to get to know the groups we were feeding and formed a bond with them which extended to the ritual feeding of them on the night. At the end of the evening we had a brief meeting and we all knew that it had gone well, and I could not have been prouder of everyone in the group!